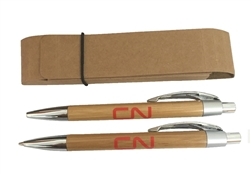 Bamboo Pen & Pencil set with ballpoint pen and mechanical pencil. Natural cardboard case made with 80% recycled materials. Trim made with 45% biodegradable materials. Pencil uses 0.7mm leads. 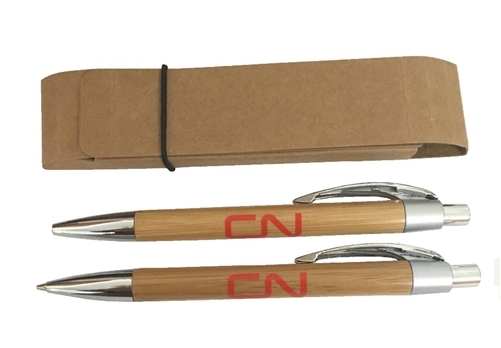 Featuring the CN logo. Product dimensions: 61/8 " x 11/4 " x 5/8 "